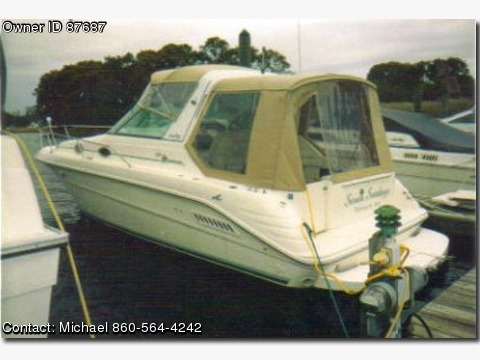 Must see 300 Sundancer with 650hrs. This boat has been very well kept. Twin 5.7 Mercruisers with V-drive In Boards. Full canvas enclosure, interior in very good condition (new interior carpet 2007). Electronics include: Raymarine C70 Series Radar, GPS, Depth Finder, and VHF Radio. Very reliable boat waiting for family fun.